At DeLong's Furniture we deal in furniture from the 1800's Victorian era down to the 1950's Deco. We deal in top quality used furniture as well as a full line of reproduction furniture. First, let us tell you about us. We are 3 generations of a family dealing in antique and reproduction furniture. 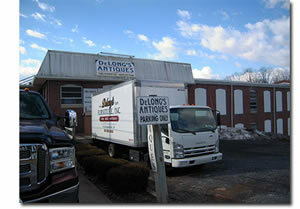 At DeLong's Antiques we deal in oak, Victorian walnut, 1930's era furniture, and fine quality mahogany furniture. We also deal in fine quality modern furniture in cherry and maple. We provide such name brands as Ashley Furniture, Drexel, Kittinger, Henredon, Henkel Harris, Pennsylvania House, and Heywood Wakefield Furniture. We deal in quality reproduction furniture such as fine quality mahogany designers choice furniture. We carry a full line of reproduction, mission oak, which is made with the same specs as Stickley and Limbert. All made of solid quarter sawn oak. We Also carry hand crafted Windsor Chairs with a Fan back design and Hoop Back Style. A Full line of Benchmade Tiger Maple Furniture including Dining Tables, Dutch Style Cupboards, Sideboards and Corner Cabinets. We have brought in some of the finest craftsman to hand make every piece with attention to every detail. 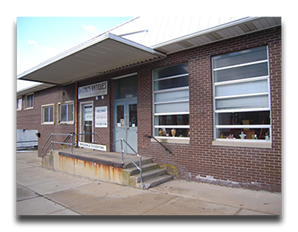 We're located at 338 Main Street, Shoemakersville, Pennsylvania 19555. We are about 1 hour and 30 minutes from Philadelphia and about 1 hour from Harrisburg. We are about 3 miles off of interstate 78 just off of ROUTE 61. We stock a 30,000 square foot warehouse showroom. Filled with furniture at a wholesale price. Let our family help yours. Whether your a home owner looking for just the right piece or an antique dealer needing something for a customer or an auction company looking for merchandise to resell. We can help no matter how big or small your needs.